Girl! This is a great layout. Just hang in there and try not to feel you have to be elaborate and perfect with every little thing you place on your layout. Some of my best layouts are based on boo-boos I try to cover up. Tee-hee! Remember it is your creation there are no rights or wrongs...be the artist and do your thing. This is great, Maria! I feel exactly the same way with Scapbooking. 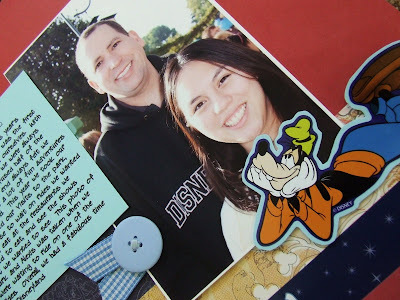 I still only have 2 pages done for our trip to Disneyland last May! I really need to try and get at least one page done a month...it's better than none, right? You did a fantastic job Maria! Just listen to your head & create your layouts your way. I always find this to be the best way to create a layout. 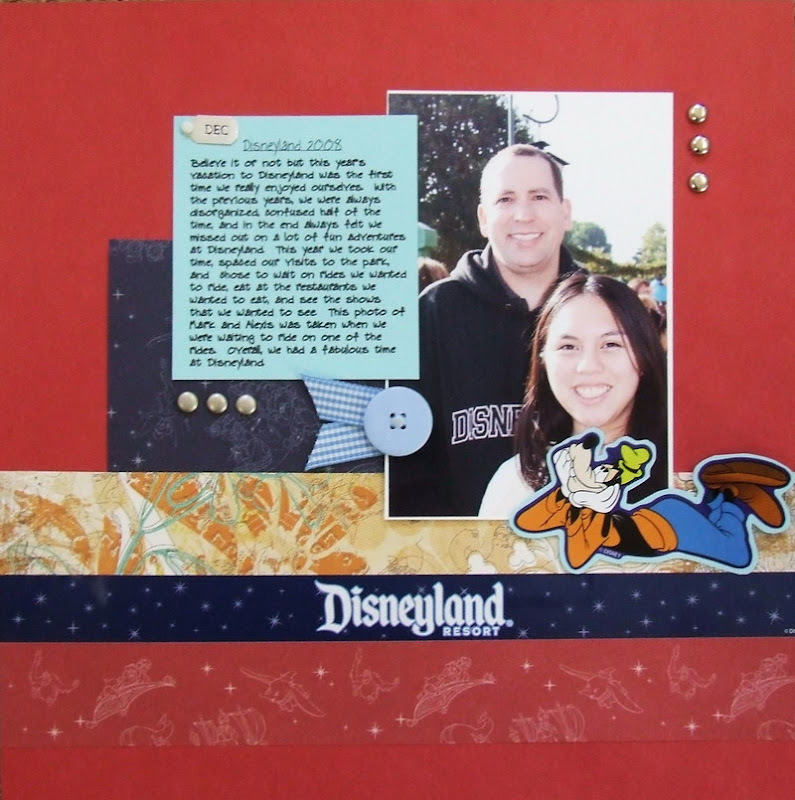 Now that I'm stamping (which I like better) my heart is not into scrapping any more. 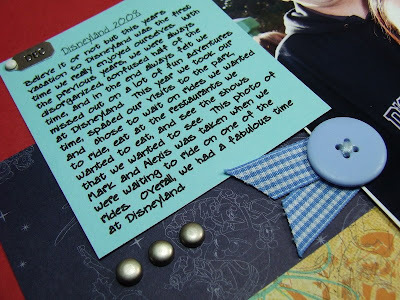 I'm so glad to hear someone else say they are intimidated by scrapbooking. I have been stamping and making cards for years but my six year old's baby book isn't done because it was too daunting. 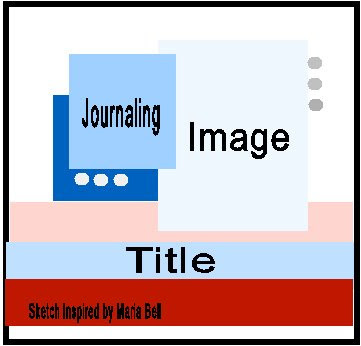 A lot of scrappers don't journal - which I think is odd and make these wonderful artistic layouts but I always want to "tell" the whole story. 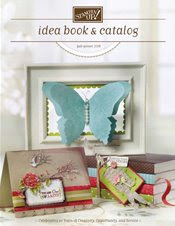 You have a great balance of journaling, image and embellishment. Thanks for sharing the page and letting me know I am not alone.